dejiolaluweblog: Exclusive interview! The Taribo West story: From the pitch to the pulpit. 0 Exclusive interview! 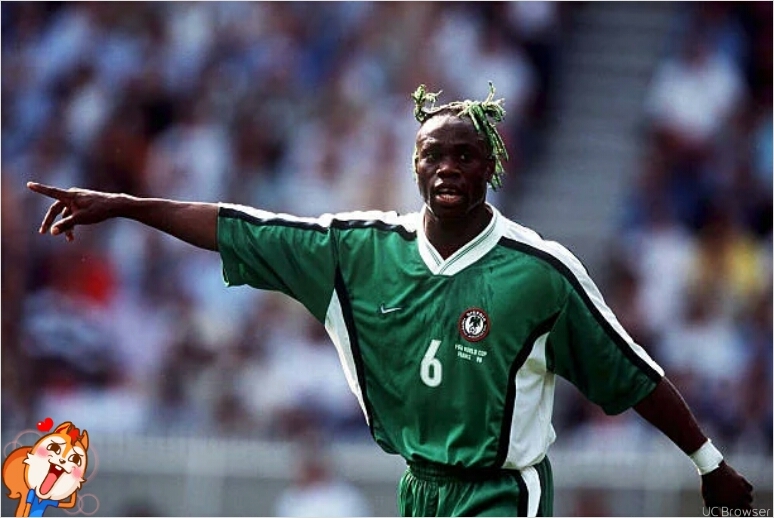 The Taribo West story: From the pitch to the pulpit. Pastor Taribo West, the former super eagles of Nigeria defender bares it all concerning his transition from the pitch to the pulpit live on national radio. Speaking with Godwin Enakhena on top sports on top radio earlier today. Asked if there was mafia in the super eagles team of his time? He denied there was mafia 'quote on quote' in the super eagles. Instead, he explained that like in every football team, super eagles players then like himself, Stephen Keshi, Sunday Oliseh, Austin Okocha, Daniel Amokachi and many more were mere influencers who the coaching crew regularly consulted with in resolving nagging issues surrounding the team. He, however, admits that there were existence of blocs in the team. On his rumored death and being broke? He claimed that just like everybody he is still surprise why people spread such unfound rumors about him. But he thanked God for his life. He insisted that there is no truth in both statements. For instance, he said if he was death as imagined he would not be on the program. On being broke? He remained as he puts it one of the most blessed former super eagles players. In a rare display of forthrightness, he talked also about the unknown diabolical connections to his career. He confessed to going fetish at some point in his career purportedly to boost it. With the benefit of hindsight, he now realizes that it was a vain pursuit because such thing couldn't have propelled him to the great height which he attained without proper development of his natural talents and dedication to his career. Asked when he started wearing the dreadlocks? And he revealed it all started when he was at the Enugu Rangers Int'l FC. He, however, expressed mix-feeling when asked if he would still wear it if the hands of clock were rolled back. The anchor being privy to some of his humanitarian activities way back asked what his motivations were for always doling out his win bonuses to people he practically didn't know from Adam. And he said it was his desire to bring smiles to the faces of the people who always inundate him with one request or the other. Above all it gives him tremendous joy. On the start of the journey to the pulpit? He went down memory lane. He recollects vividly that it all began post 1996 Atlanta Olympic game when Nigeria won gold medal in the football event and the team was being hosted by the Nigerian consulate. To which he gave evasive answers. But he noticed that the woman in question felt bad while departing. Immediately, however, he felt a stinging bite of a slap from behind. And as he turned around to see who did that; he heard a voice telling : "don't you know I sent the woman to you"! Now get up; the voice ordered, go look for the woman and tendered an unreserved apologies which he did expressly. He afterwards exchanged contacts with the woman with agreement to come visit him soon. The woman later came visiting not long afterwards. He continued. But he recollected that some strange events occured during the visit. For instance, the house was definitely under a strong anointing of the woman of God so that from the moment she stepped into the house every contrary spirit and materials in the house seems to fall apart. One, his many friends hurriedly left the building. Two, when he got into the kitchen many of the things there had fallen apart- the dishes and the likes. Three, when got into his room which of course had long been laced with fetish stuff of all kinds is now turned upside down. The message was clearer at that point and that is many of his activities run contrary to the plan of God for his life. He henceforth decided to take the 'call to the vineyard thing' seriously. Today, he has a branch of his church in Italy. Its Nigerian branch is located in the heart of Ikeja, Lagos. Finally, he was asked to suggest ways to improving the super eagles team? To this he admonished that players must be dedicated, train hard and be professional in all they do. Pastor Taribo West is not married but has a kid and remains one of the most travelled Nigerian footballers ever because he once plied his trade in more than five countries of Europe and middle east namely- France, Italy, Germany, England, Yugoslavia etc.